Habitat Conservation examines the relationship between habitat and ecosystem dynamics. Over the last decade scientists have made advances in their understanding of this relationship and this has had major impacts on their approach to nature conservation management. In many habitats conservation management needs to take into account the physical dynamic processes such as the impact of air, soil and water as well as the biological processes. * uses case studies to demonstrate how different habitats can be naturally managed and restored. Written by geomorphologists, hydrologists, climatologists and limnologists this is a fundamental text for masters and undergraduate students studying nature conservation, habitat ecology and environmental management. It will also be essential reading for all conservationists, environmental consultants, managers and engineers. 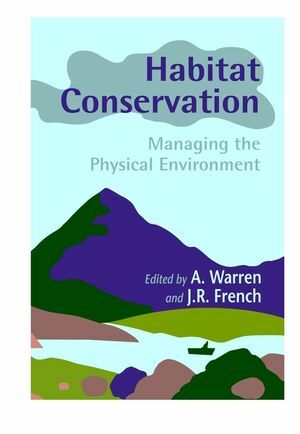 A. Warren and J. R. French are the authors of Habitat Conservation: Managing the Physical Environment, published by Wiley. Relations Between Nature Conservation and the Physical Environment (A. Warren and J.R. French). Mountain Resources and Conservation (N. Bayfield). Conservation and the River Channel Environment (N. Clifford). Floodplains (F. Hughes and S. Rood). Lakes (L. Carvalho and N. Anderson). Freshwater Wetlands (J. Thompson and C. Finlayson). Physical Contexts for Saltmarsh Conservation (J. French and D. Reed). Coastal Dunes (S.M. Arens, et al.). Climate Change and Nature Conservation (C. Agnew and S. Fennessy). Sea-Level Rise (J. French and T. Spencer).